For the first time in fourteen years, the Pigeon Forge Trolley will operate year round. 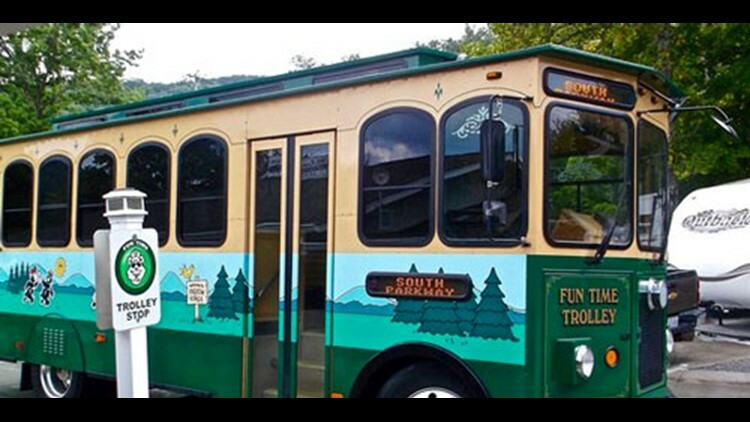 PIGEON FORGE, Tenn. — A recent price hike in Pigeon Forge Trolley tickets has allowed the service to run year-round. Beginning Jan. 6, 2019, the North and South Parkway winter trolley route will operate from 10 a.m. until 10 p.m. daily and remain in effect until the trolleys resume full operation on March 12, 2019. The Pigeon Forge trolley system is the third-largest rural transit system in the U.S. This is the first time in fourteen years the service will be offered year round. The winter route will travel as far north as Sevierville and to light number 10 on the south end of town. The route also will travel portions of Teaster Lane. In total, there are more than 100 trolley stops located on the winter route. Pigeon Forge residents and those who work in the city may purchase a year-round pass ($35 per person), a $3 one-day pass, a $1 North or South Parkway ticket as well as tickets for additional route options at the Pigeon Forge Trolley Office located in the Old Mill district at traffic light seven. Children three and under ride free.